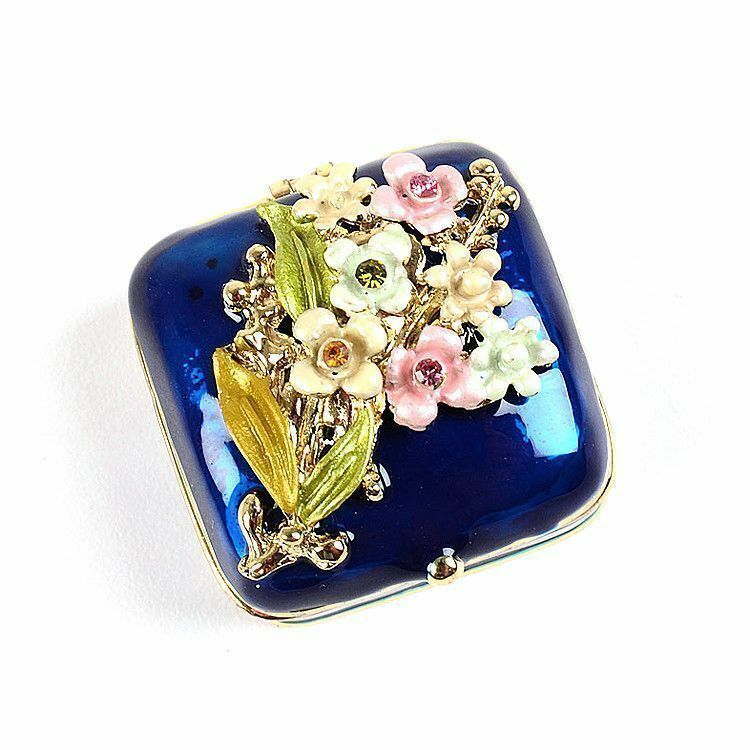 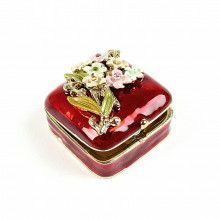 This mini box, although tiny, is still ideal for holding a small chain or other tiny nick-knack. 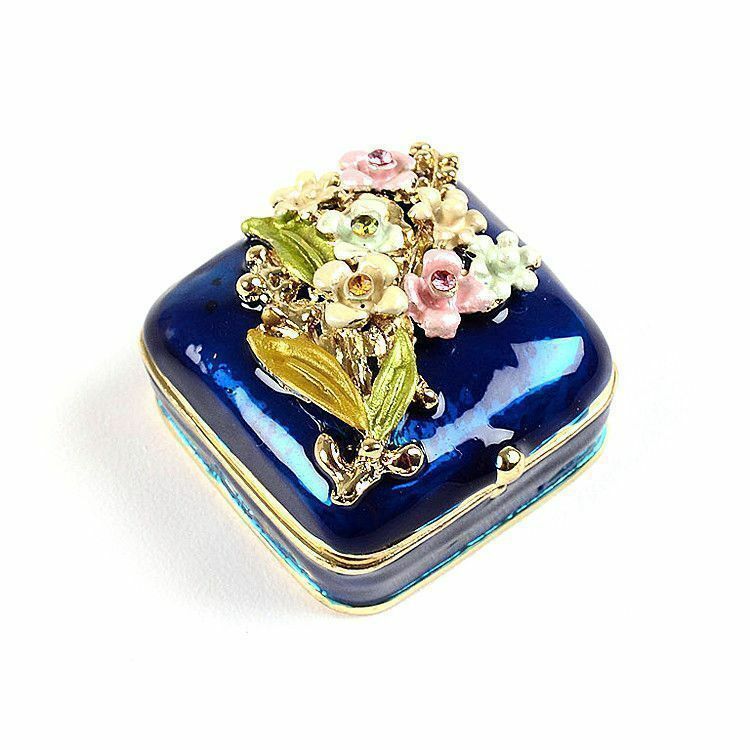 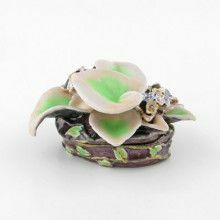 It is made from strong pewter, hand enameled with thick paint, gold plated with 24 karat gold, and decorated with sparkling crystals on the bouquet. 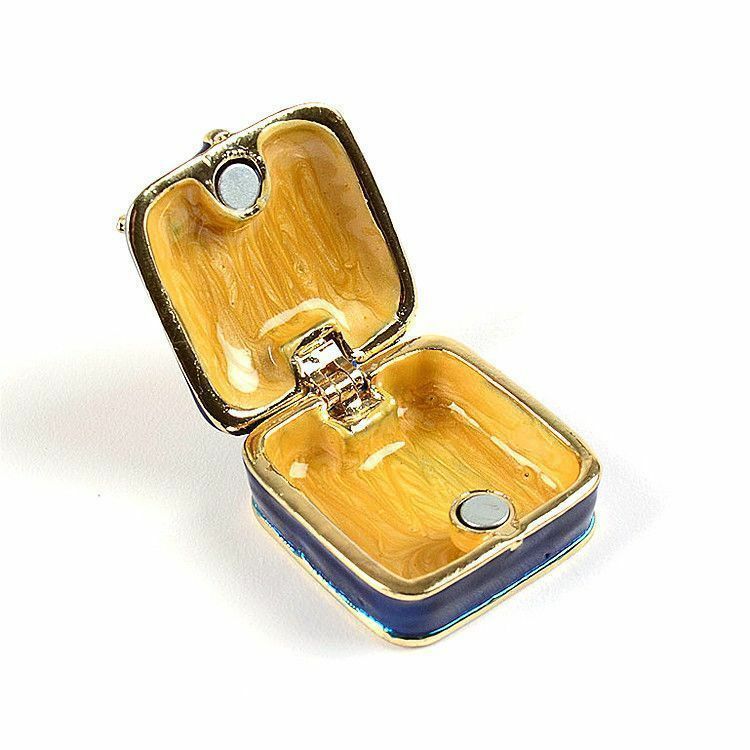 Contains a hinge and one magnet.